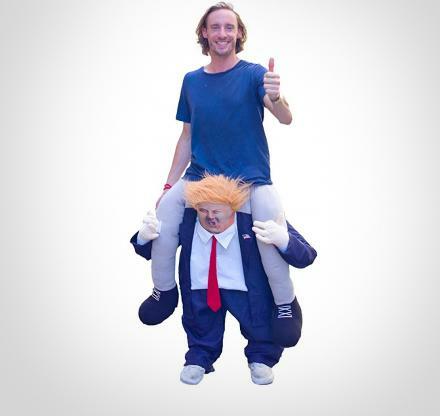 This midget little person Batman is here to hold your candy bowl to make sure each little child only takes one piece of candy this Halloween. 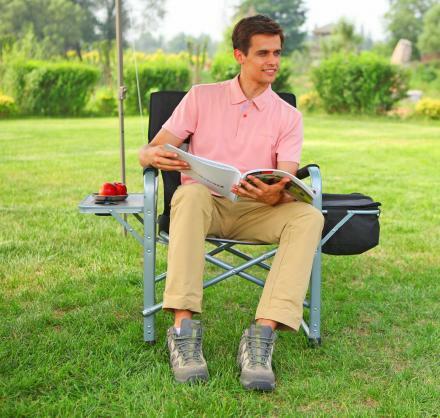 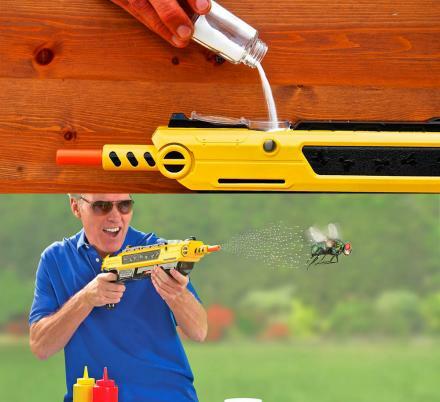 Standing just 20 inches tall, with little stubby arms and legs, you can't help but think he's just a little cutey, when in reality he's thinking of three different ways he could snap a child's neck if they took more than one piece of candy. With no help from Alfred, who seems to be conveniently missing when there's some work to do, little mini Batman is here to assist you in your candy-handing-out-duties this year. 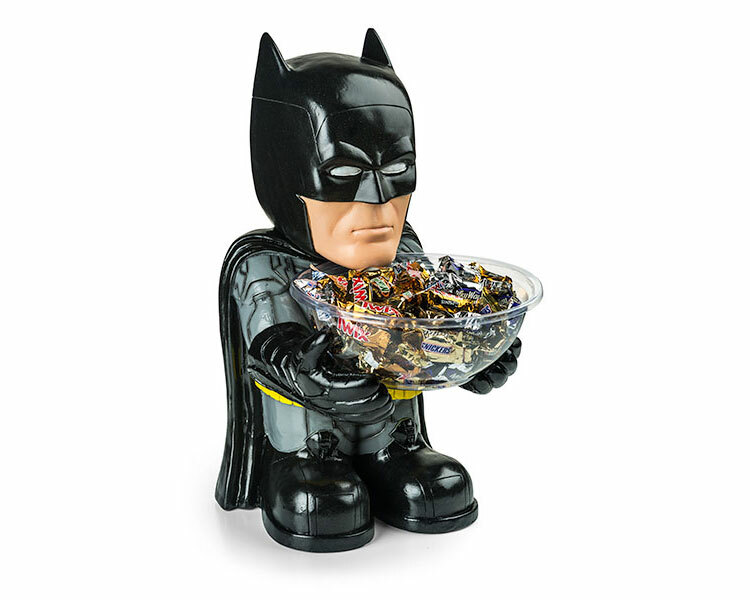 Officially licensed from DC Comics, the batman candy holder features a removable candy bowl for easier use. 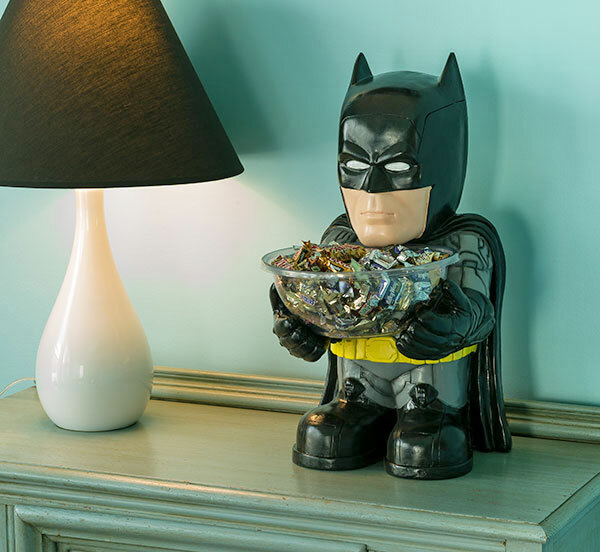 The mini standing batman candy holder is made from a lightweight foam, and is hollow in the back, so if you're going to fill it with something heavy you may want to weigh down the back of him with a bag of rice or a paper-weight so he doesn't tip over. The Batman candy holder is meant for ages 14 and up, measures 20 inches tall x 11 inches wide x 10 inches deep, and comes with a serving bowl (but no candy).